Although this meanwhile well-established polish company keeps constantly releasing new kits, only a few of them contained figures so far. 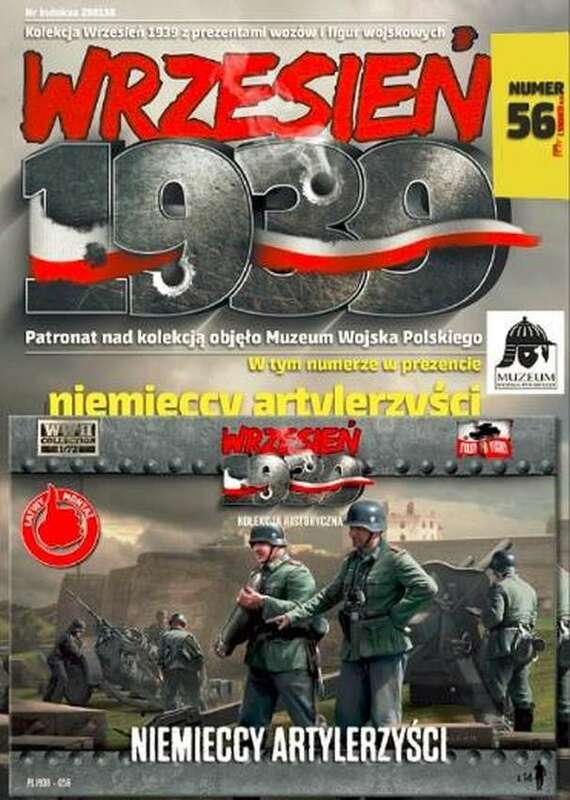 Their latest set should again be appealing for 1/72 figures enthusiasts with focus on WWII "Fall Weiß", the invasion of Poland 1939. 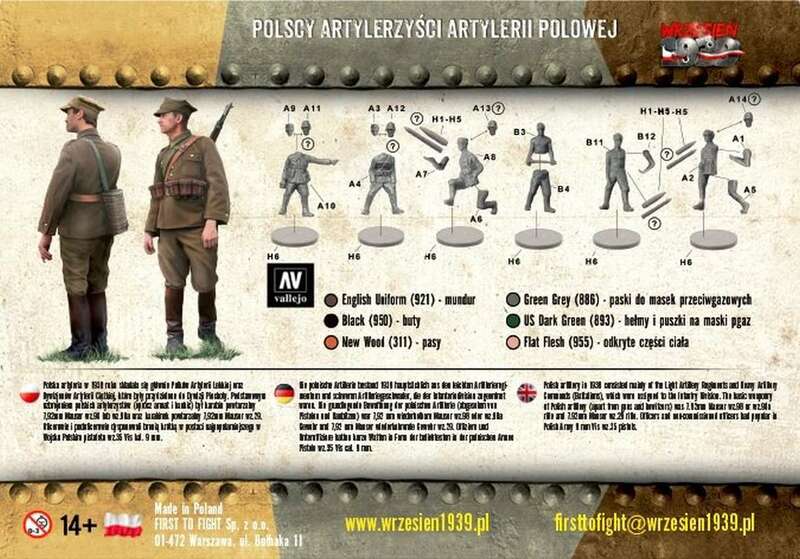 Retailers list their brand new Polish Artillery Crew now and from what we can see the set includes 16 multi-part figures in 6 poses. I am hopeful that they will be better than their lukewarm Hät comrades. ... from what we can see the set includes 16 multi-part figures in 6 poses. Multipose figures in hard plastic! Very good info Erich von Manstein! According to "First to Fight" profile comments next set (number 56) will be German Artillery Crew figures. Some sprue pictures of the polish artillery crews surfaced at Missing-Lynx and subsequently at Henks today. As already mentioned, 16 multipiece hardplastic figures in 6 poses. The box also offers a good number of spare heads, rifles & shells. Maybe not entirely up to Preiser quality, but a very welcomed development anyway. Will buy a few boxes and try to improve the generally mediocre to poor Hät crews. Already curiously waiting for FTFs upcoming 1939 german arty crews! The next FtF figure set seems to be available soon now. As already mentioned, it‘s early WWII german artillery crew. Only 14 figures in hopefully 6 poses this time. Will wait for explicit preview pictures before taking them into consideration. FtF‘s german artillery crew figures are available since last week. 14 hard plastic figures in 7 poses, some of them multi-piece style. Additionally the set contains an adequate number of rifles & different artillery shells. The 1939 polish & german crews look like worthwhile expansions to earlier sets. The next FtF figure set is available at european online shops now. 16 figures in 7 useful poses. Would love to see some polish cavalry from FtF as well. Pegasus announced such a set roughly 10+ years ago, but it sadly never materialized. Anyway, good news for the early WWII buffs here.